Finns Party secretary Riikka Slunga-Poutsalo says her political party would probably not accept funding from the US far-right agitator's foundation - if it were offered. Steve Bannon, former chief strategist for US President Donald Trump, announced this weekend that he would be establishing a foundation in Brussels with the intention of supporting right-wing and anti-establishment political groups in Europe in the run-up to the European Parliament elections. The foundation is still in the planning stage, but news around the proposed project has mentioned research and communications help. Bannon himself has mentioned Finland's Finns Party and Sweden's Sweden Democrats as "perfect" targets. The Finns Party recently made headlines for its efforts to increase cooperation with the nationalist Swedish party. "This came as a complete surprise. We haven't received any offers yet, and we haven't been contacted at all yet," Riikka Slunga-Poutsalo, party secretary for the Finns Party, told the public broadcaster Yle. She adds that her party already has a think-tank providing it with quality research and a party headquarters that is responsible for communications and social media. "I can't think of what kind of added value this type of support would bring. Of course, our party decision-makers would consider all offers in a proper fashion, if we receive them," she said. Slunga-Poutsalo is more careful about monetary contributions, as she says her party is wary of accepting external funding. "We can manage just fine with our own money. There is a big chance we would refuse the funding, because we want to stay independent. We didn't seek any campaign money from domestic organisations ahead of the campaign, for example. I can't see that our policy in this area would change," she said. According to the party secretary, it's better for the party to avoid any ties that would call into question their independence. "Our funding is based on party support. We illustrated in the 2011 and 2015 elections that even a small amount (of money) can lead to good election results," she says. 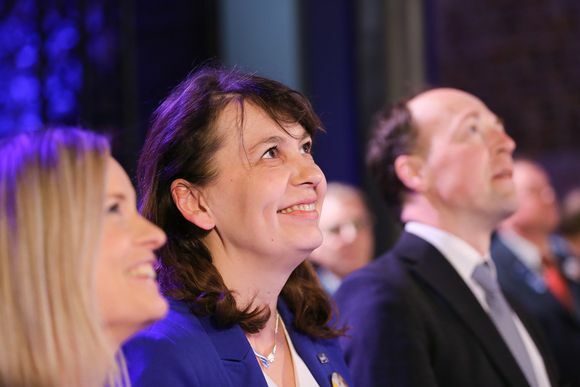 According to Finnish law, a political party can only receive financial support from outside the country from an individual or individuals and international organisations or companies representing the same values as the party. From one donor, the sum cannot exceed 30, 000 euros in a calendar year.